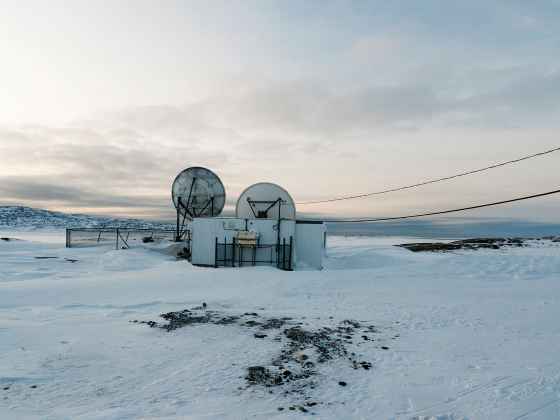 Off-Grid looks at the network infrastructure in Nunavik, the Quebec Arctic. No roads go there, telecommunication requires satellites, and in every Inuit village electricity is produced with diesel generators on site. As a consequence, every settlement has a small industrial zone which ensures a community’s survival under northern conditions. The appearance of industrial sites in this landscape creates a rupture, symptomatic for these communities which have been colonized and forced to move away from their nomadic life.